I am not hosting Thanksgiving this year, so I won’t be able to set a table or plan a menu. So tonight – we totally cheated. On our way home from a weekend away with friends, we stopped at Trader Joes. We came home with a precooked turkey and frozen stuffing, sweet potatoes and squash risotto. The fire was roaring and we had a little quiet time just the four of us. If you are however hosting Thanksgiving – I thought I would do a quick wrap up of ideas here to make it even easier for you. So now I am not going to lie to you – I am ready to bring on Christmas ideas! How about you – are your ready to start planning. Today, the first letter is shared and it is beautiful! 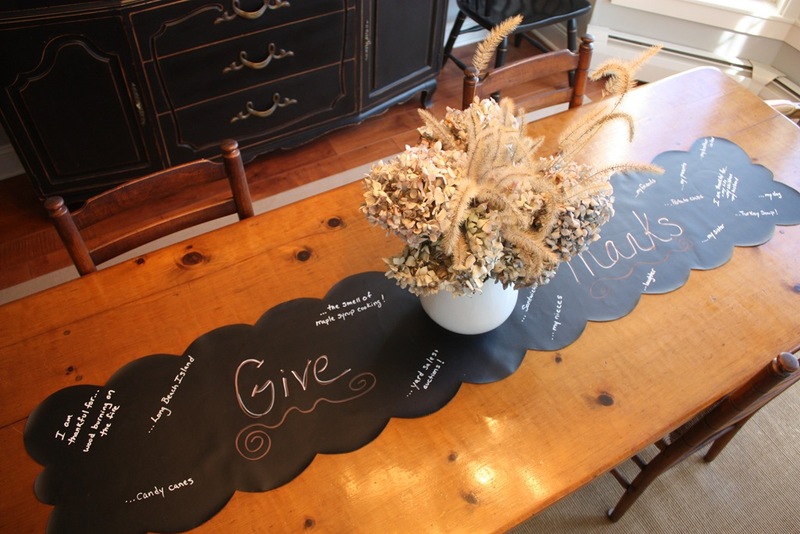 I love trader joes and all of your thanksgiving inspiration and ideas! Have a great holiday! I love all the ideas for Thanksgiving. Canadian Thanksgiving is mid-October and so I am well into planning Christmas decorations for the house. This is always such fun for me trying to find new ways of decorating each year. I don’t host Thanksgiving. It is just hubby, kids and I. So, I really don’t go all out with decorating. But those are some beautiful ideas. I really like the tablescape with the wheat in the pitcher with the pinecones. Love your blog! Thanks so much for sharing this! Officially a follower! Stop by and say hello! Happy Tuesday! Happy Thanksgiving! I’m not cooking this year either, a first for me, and I am finding I am really missing the prepping and planning. But, my son and his wife will be coming soon and we will be recreating Thanksgiving then so I am excited to see so many of your beautiful tablescapes–I am very inspired–thank you! The first letter is amazing…I look forward to many more inspirational posts! !